The musical based on the music of The Kinks came to Woking’s New Victoria Theatre and with the tentative steps of someone who is reviewing something in musical form about a band I love I went along, with the intention to suspend subjective opinion and see it from this angle, in this form, to look at it a new way. 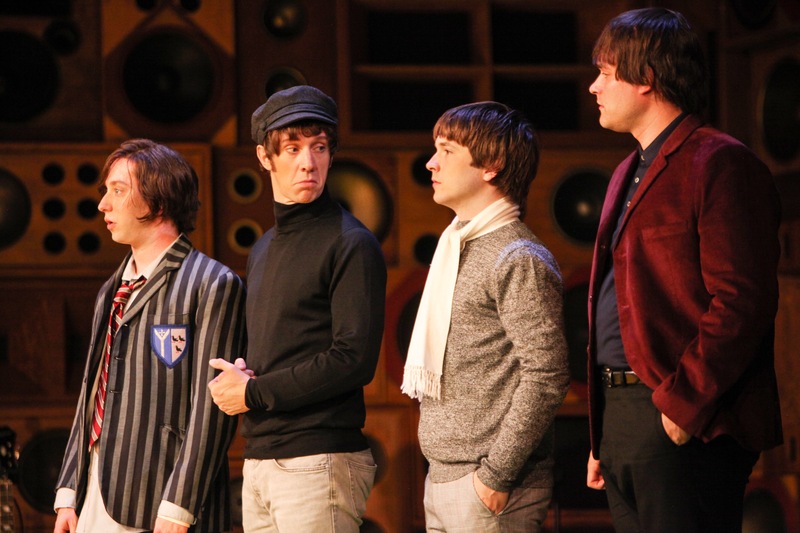 It seemed to appeal to those, many of whom said they had followed The Kinks from their early days, I wondered if young people were going to miss out on the stories of the iconic bands but then hopefully discover them through their music rather than retrospective musical. A woman behind me was with her parents, she was about my age, I heard her tell someone she hadn’t heard of the Kinks really. My hands gripped the programme, knuckles white to keep from exclaiming ‘what vortex it must be to have lived this long without having heard ‘Waterloo Sunset” ?’ and yet, what a treat to have all this music and how it colours, yet to discover. I also realised it made me sound like one of those people in pubs who drink beer with twigs in that spills on their beards as they relate facts about ZZ Top and whatever statistic that backs up their supremacy in their world. So I didn’t do anything as aggressive just ‘noticed’ how much she rustled her bag and thought to myself that if it didn’t stop before the action started I would have to roll my eyes to myself that would tell her – you bring a rustley plastic bag with sweets in to the theatre – you’re going in the review matey! The stage set rather than as a play in a gig set up, always raises hope in a live music vampire like me and it is true that the main part of the action throughout is centred around the band set up, but taking them through the times of encouragement and writing songs in the Davies family home to gig and tour and back again. Often the songs are used as narrative and sung by ensemble, many who were there who were fans of The Kinks from the beginning enjoyed that the songs had been reworked in this way, for me I like them in the way they were made rather than as an ensemble narrative to move the story on, much as it does have the relevance of pointing out what inspired them and can add poignancy. The one exception where I found this more powerful though was when Rasa (Lisa Wright) sang ‘I Go To Sleep’ very movingly, a song, though written by Davies, never released by The Kinks. 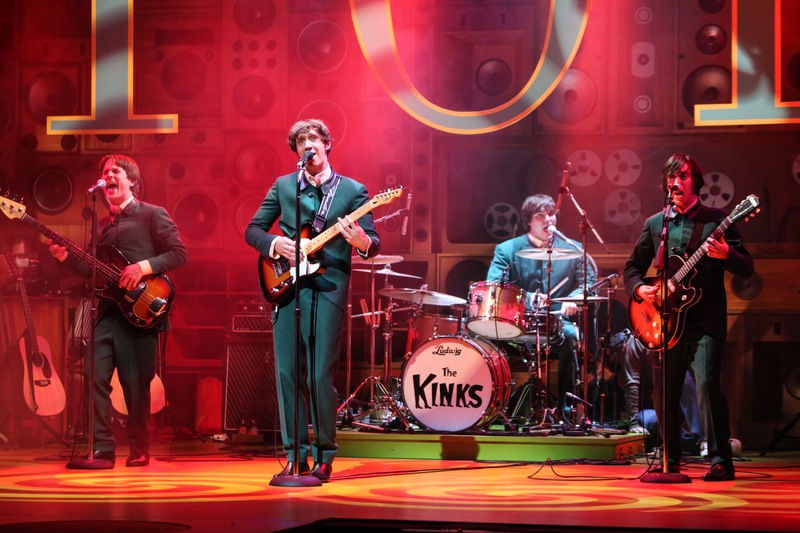 Ray Davies wrote this Olivier award winning musical and it is his character that serves as the main protagonist. It was intriguing to see his take on The Kinks and their outlook, how management were, the wariness about swinging London and Carnaby St being far away from the lives of people trying to cope and feed their kids. The social conscience weaved throughout which gave a great context of where the songs were coming from, melodies and poems now so ingrained in our culture that people celebrate Davies as a poet, the London poet, as much as a songwriter these days such is the happy legacy of his prolific writing. A special mention should be made to the musicians playing too, in support of the cast with Andy Gammon taking the solos on guitar. The scenes of frustration with each other, the hanging together and being unable to give up on that elusive magic illustrates well that this was written by a musician and writer going through the dichotomy of having to accept every part of the way music and art is produced and enjoyed and disseminated. It illustrates well that feeling of not quite fitting in wherever you are unless it is lost in the creative process.